There are two products I look forward to when the new season starts. One is Upper Deck’s flagship Series One and Series Two, and the other being SP Authentic. These two releases seem to be very solid year after year. So I stopped by my local shop and picked up a box for $100. I rushed home to break open this box with my wife. Here are the results. With a product configuration of five cards per pack and 18 packs per box, there is no way to complete the 100-card base set from just one box. Which is disappointing because in past years, one box would get you a full base set, or just a few cards shy. Every year, SPA’s design has that clean look. So people may say the mostly-white backgrounds is bland and boring, but I enjoy it. 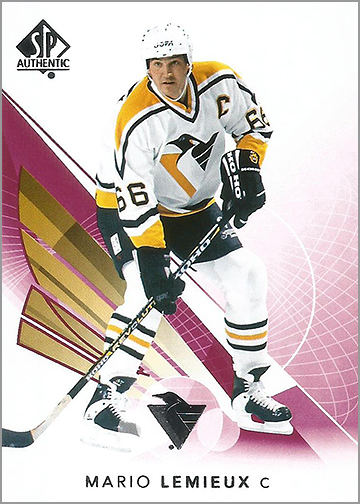 It really puts a focus on the player on the card and makes the colors of the players jersey pop. You will average three of these red parallels per box. The three I received where Jeff Carter, Nathan Mackinnon and Mario Lemieux. I am not a fan of these parallels at all. If your going to make a parallel set, do something that really distinguishes the cards from the base card, like when Topps used to make parallels of older sets. These remind me of the gold parallels in products such as MVP and Ultra. Boring. The only saving grace for me is pulling Le Magnifique. With Mario being my favorite player of all time, I will take anything that features him on it. Unlike the red parallels, I love these cards. The photography is always great and if you put this set together it’s fun to look back years later and remember these moments. I was lucky enough to be at Crosby’s 1,000 point game, so that card is one I would had to track down. But I was lucky enough to pull it. I hope they continue these for years to come. 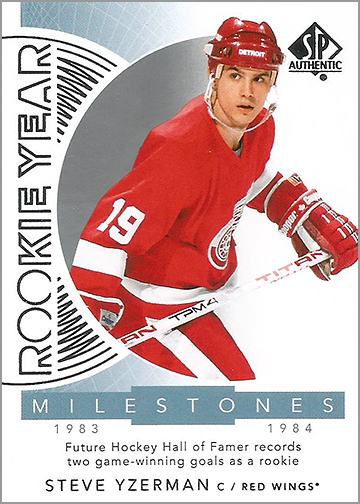 I really like the Rookie Year Milestones and I am considering completing the 30-card set. I think its cool to look back at legends of the game when they were in their early 20’s or in some cases even teenagers. 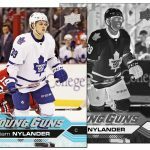 With these update cards falling 1:8 packs for base cards and 1:13 packs for Young Guns I have mixed feelings on this idea. I like the updated cards for players who have been traded to see them in their new sweaters even if they are just a rental player. 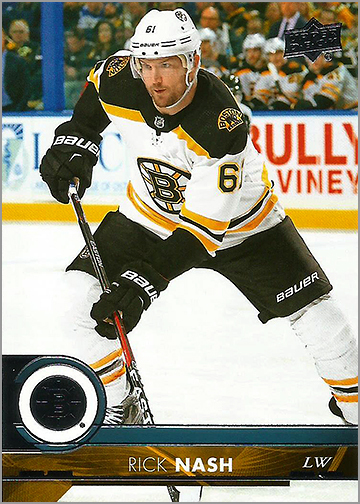 But on the other hand, I try to complete Upper Deck Series One and Two every year, and I find adding the updates to a different product to be kind of annoying. Instead of shorting those who collect SPA a potential hit or base card towards finishing their base set — or making collectors who build Upper Deck Series One and Two have to track these down — why not just release an Upper Deck Update box set? Even if the Update sets are only sold online, I think they would still sell. I was very happy that I got only one of these for multiple reasons. 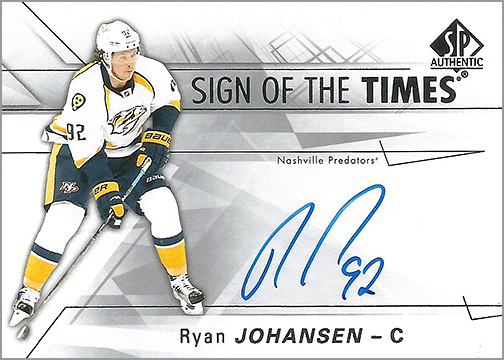 The main reason being if these replace autographs as hits in boxes. I don’t think that is right. I get that Upper deck is trying to push its Bounty Program again, but I don’t think that Spectrum FX cards should replace a nice on-card autograph. I also have zero interest in the Bounty Program. If a card company is going to make people track down 99 cards that are tiered and come only one or two per box, then make it worth their while. Instead of giving card #100 and a gold parallel set to the person who just built that set, give them something worth going after. 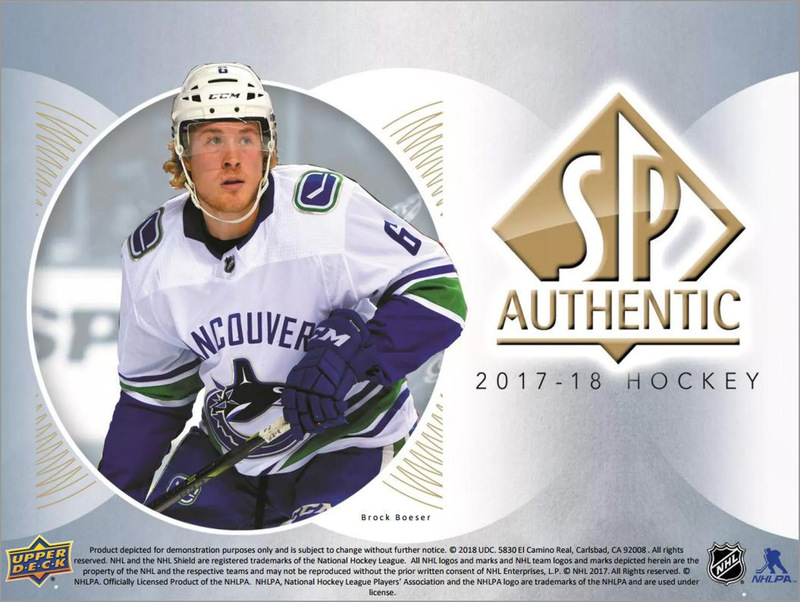 Perhaps card #100 and a signed Brock Boeser jersey to the first person to complete the Spectrum FX set, and a signed puck to the next 49 who do. That would really drum up interest in the set. 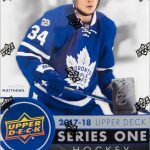 These inserts fall 1:45 packs I was lucky enough to pull one — and of Toronto Maple Leafs center Auston Matthews (RDP-AM). I find these to be just amazing! Any kid who grew up in the 90’s recognizes this design instantly. 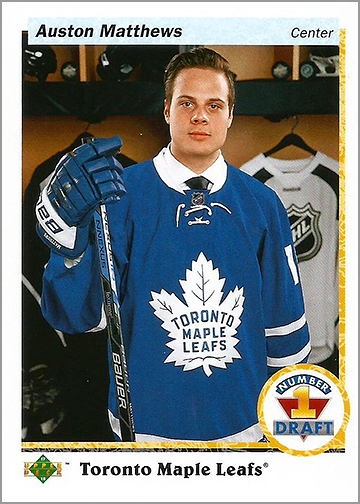 When I busted this from a pack I was just as excited as when I pulled my first Jaromir Jagr from 90-91 Upper Deck. I believe one thing Upper Deck does really well is use the nostalgia of its older products to pull us old guys back into the hobby. Depending on the cost of these, I may put this set together. The only thing I noticed — and it might just be me — is that the card is off-center quite a bit. Let me know if you think so too. Moving on, I was lucky enough to pull three autographs from this box. When I pulled this card I had no idea who the player was, so I did a little research and it doesn’t seem to bad of a pull. Merkley was drafted in the 1st round, 30th overall by Arizona in 2015. He had 63 points in 63 games in 2016-17 from the WHL’s Kelowna Rockets. He played one game for the Coyotes registering 2 PIM. 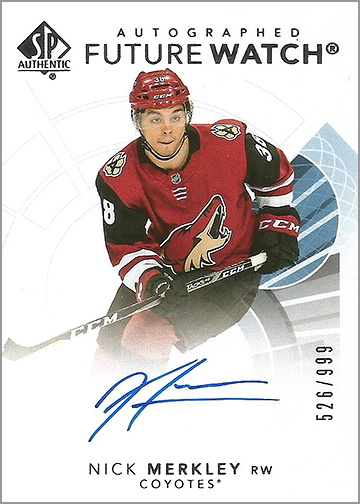 But here is where he shows promise: he had 39 points in 38 games playing for the Coyotes AHL affiliate, the Tucson Roadrunners. So the kid shows potential. I will be waiting to see if he cracks Arizona’s roster come the 2018-19 season. As far a the card goes its a nice design and has something that seems to be disappearing from the hobby — AN ON-CARD AUTOGRAPH! This is the one thing that draws me to SPA every year; almost every autograph is on-card. One thing I don’t like at all is when companies put older products into new products. 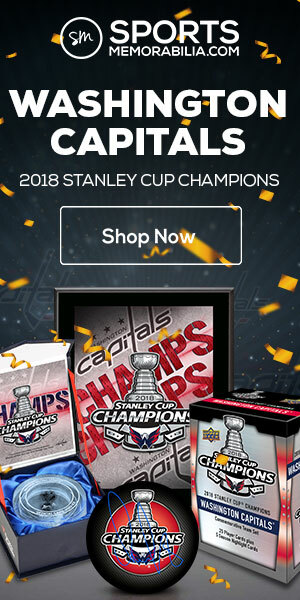 If you cant get everything into the product the year it comes out, maybe you should cut down the checklist to a select few players so you know the cards will be signed in time for the release date. I have a feeling some of these get thrown into the newest product while the rest of the stack sits on a shelf as redemption fillers. 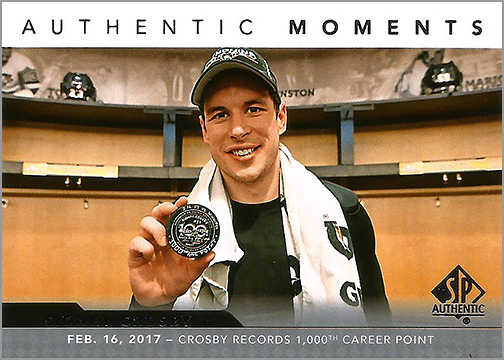 And not to knock on Ryan Johansen but one in 1,460? This isn’t too bad of a pull. 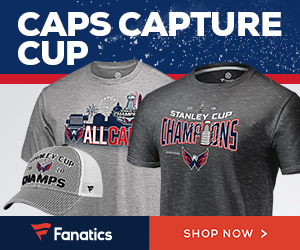 Turgeon was the 1st overall pick in 1987 and has 515 goals and 1,327 points to his name. He was a pretty solid player. Hall of Famer? We can visit that another day. But I will say he signs a very nice, clean signature with all the letters being borderline legible. Compared to Johansen and Merkley signatures that I pulled before, this Turgeon card shows how the players from the earlier eras took pride in their autographs. As a side note, if I ever pull a Dale Hunter autograph, I’m just going toss it in the trash and call it a day. Thanks for the fantastic review Travis. Maybe Upper Deck should take notice at some of the points you made in which myself and others would wholeheartedly agree upon. 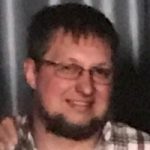 18 packs doesn’t allow you a chance at a complete base set. Back when you’d get 24 packs that pretty much ensured you’d get at least that. Red parallels are just useless filler content. There’s so little distinction between the base and the red why even bother. 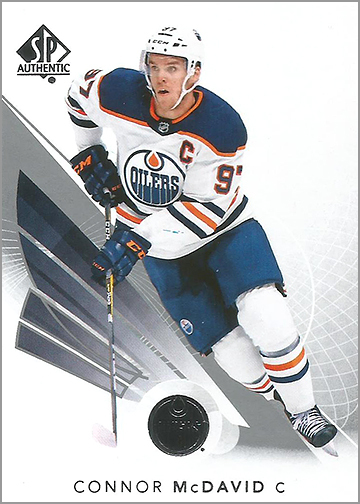 Authentic Moments and Rookie Year Milestones both are sweet looking cards and worthy of chasing to try and complete the sets. 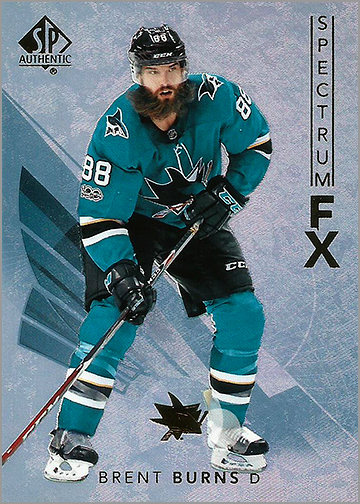 Spectrum FX parallels are as bad as red ones. Other than the “shine factor” you wouldn’t be able to distinguish those as well from the base cards. 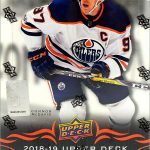 As far as the Bounty Program goes, Upper Deck dropped the ball with that as well. You’re correct in stating that any who completes the set get more than a gold set and card #100. They should get a whole lot more than even a signed jersey to go along with completing the bounty fiasco. Also, you have to scratch the cards to reveal the codes. Looks like Upper Deck didn’t learn anything from 1980/81 Topps. The 1990/91 Retro Draft Picks set may feel nostalgic for some but others may perceive it as lack of creativity. You were fortunate to get 3 autographs in your box as there seem to be quite a few that only have 2. To give credit where credit is due, the Future Watch and Sign of the Times cards are done well every year so kudos to Upper Deck for that.